The first Church of Santa Maria, originally located in the area of Santa Gilla, was rebuilt in 1254 within the walls of the Castel di Castro. The structure was enlarged in 1258 at the time of the construction of the bishop's palace and the fortification of the castle and in 1313 it was made an episcopacy and became the Cathedral of Cagliari. 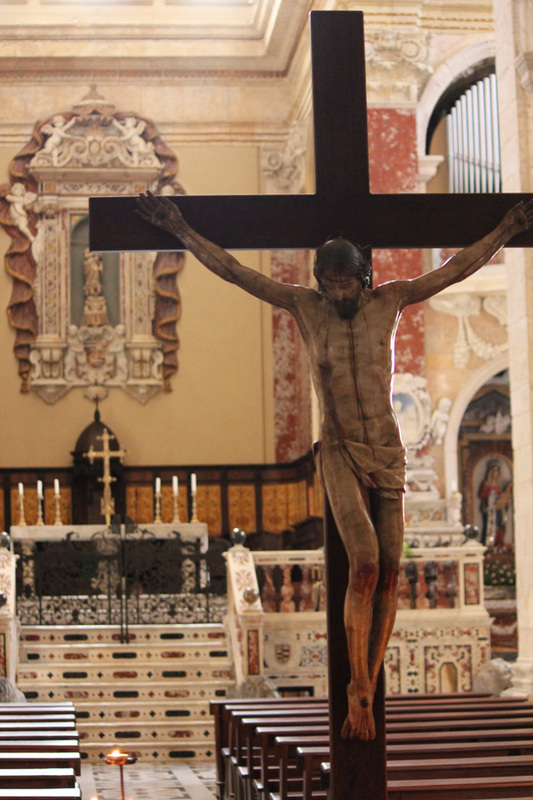 Its original design in the form of a Latin cross with a wooden ceiling was composed of three naves. Three portals opened in the Romanic style facade. The architrave of the central entrance still remains today. There have been various restoration interventions over the years. The most important were those of the 17th century. While Monsignor Francesco Maria De Esquivel was Archbishop of Cagliari, the area of the presbytery was built with the crypt below. 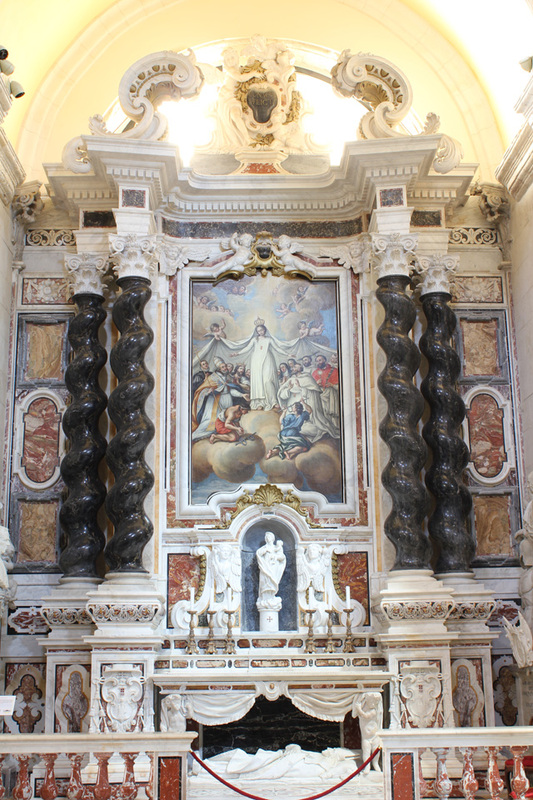 This was called the Shrine of the Martyrs, according to the canons of the emerging Baroque style. Subsequently, in 1669, the Romanic-Pisan structure of the Church was altered raising the walls, changing the columns with pilasters, creating vaults and domes to replace the wooden roof to give the entire building a Baroque appearance. This was carried out under the direction of Monsignor Pietro De Vico by the Genoese Domenico Spotorno and the architect Francesco Solari. A new pulpit was inserted in the central nave. 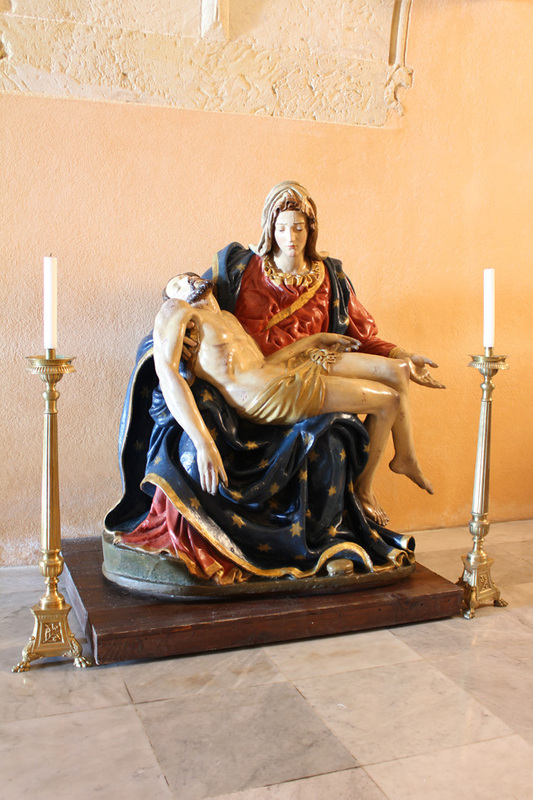 It bore the coat of arms (still visible) of Archbishop De Vico while the original Pisan pulpit sculpted by Master Guglielmo and donated to the Cathedral of Cagliari by the City of Pisa was divided into two parts and placed on either side of the main entrance. The year 1702 saw the beginning of the works of demolition of the Romanic facade that was to be rebuilt in Baroque style with marble-covered fluted flat columns. In the subsequent years the Cathedral did not undergo any important interventions, until in the early 20th century it was decided to demolish the Baroque facade. It was rebuilt in the 1930s following a design of the architect Francesco Giarrizzo taking inspiration from Romanic canons and was faced with limestone from the Bonaria quarries. 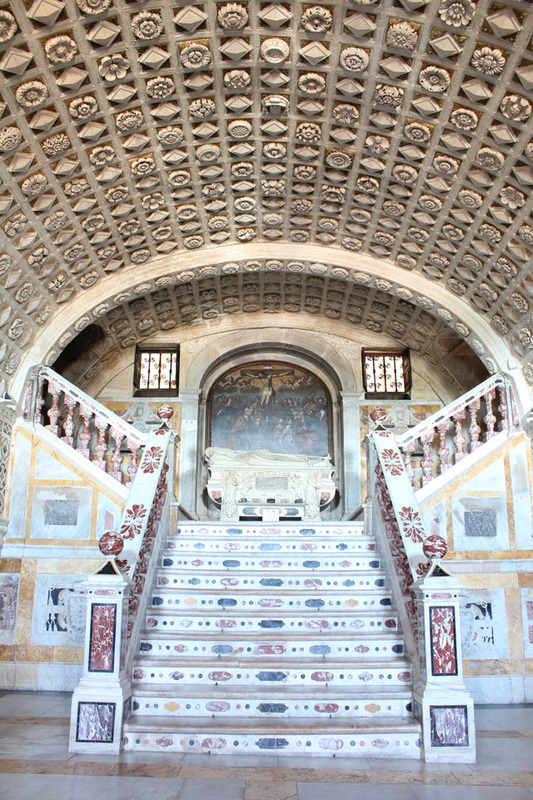 In recent years there has been an overall restoration of the building and its treasures with a view to highlighting its historical-artistic characteristics. The most recent intervention in 2007 included the restoration of the works in wood and marble, the silverware and the organ.